Read updated review for Photoshop CS5 HDR Pro here. I finally had some time to check out Adobe Photoshop CS5 and see what new features Adobe had in store. The one feature I was most interested in for CS5, as you probably guessed, is the new HDR Pro tool. So far from what I’ve seen in the video below, I’m not impressed. But when I get my copy of CS5 I’ll do a full review of the new high dynamic range features available. The one good thing I did see with the new Photoshop CS5 HDR tool is in the tone mapping. Looks like Adobe finally added some options for us to play around with. The current version of Photoshop literally has no controls for tone mapping what so ever. Check out the video below from YouTube and tell me what you think. 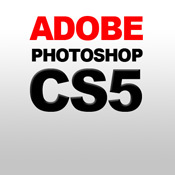 For more information about the new Adobe Photoshop CS5 features checkout Scott Kebly’s post on his blog about CS5.